The Chateau de Bourdeilles dominates the small but charming village of Bourdeilles in the Dordogne department of France. The castle dates back to the 12th century and consists of the early defensive fort and a Renaissance building added in the 16th century. 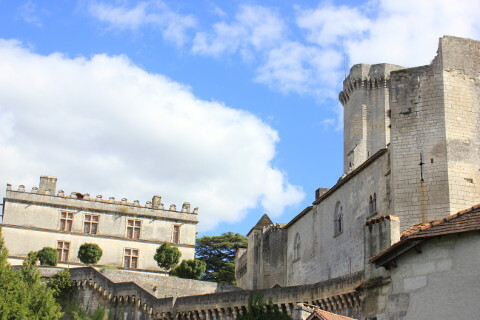 The Chateau de Bourdeilles to the north of Perigueux sits above the River Dronne and in the Middle Ages saw many battles and was at one time captures by the English and then later retaken by the French knight Duguesclin. In the Renaissance period when fighting stops and a desire for comfort grew a new more luxurious chateau was built and today both chateaux can be visited. 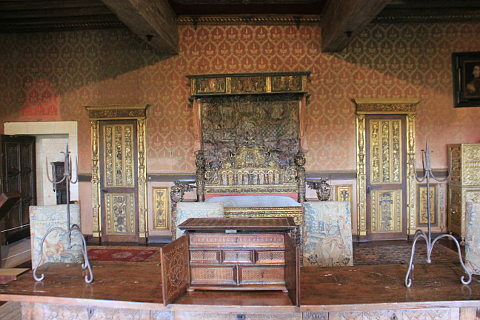 The chateaux were left to the Dordogne department and the Renaissance building has been richly furnished with period pieces from the 14th to the 19th centuries. 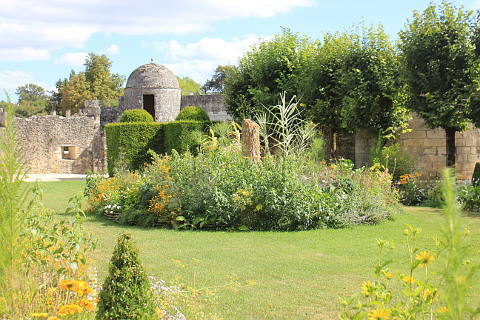 The 13th century medieval building has a three-storey keep from the top of which you get great views of the village of Bourdeilles and the river Dronne. The Renaissance Palace was built in the 16th century when the castle was once again in the hands of the Bourdeilles family. 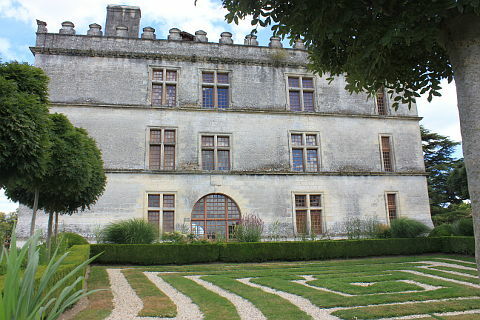 Jaquette of Montbron, the widow of André de Bourdeilles drew up the plans and instigated the building of the chateau in the Renaissance style of the day. The Renaissance Palace that you visit today has been beautifully renovated and restored to reflect its Renaissance origins. 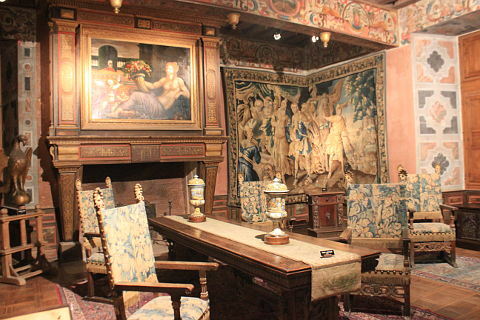 Its collection of furniture includes more than 700 pieces and is one of the richest collections in the Nouvelle-Aquitaine region. A highlight is the Golden Salon which has a beautifully painted ceiling and lots of gilt decoration. 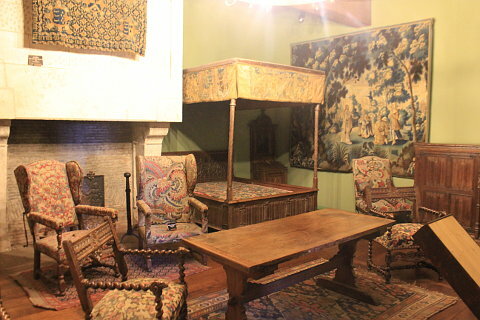 There is also an armoury and a chapel and keep an eye out for the 'Paradise Bed' which was the bed of Charles V and has lavish gilt decoration. To the front of the castle is a formal garden with clipped trees and hedges and at the rear a low labyrinth has been marked out. 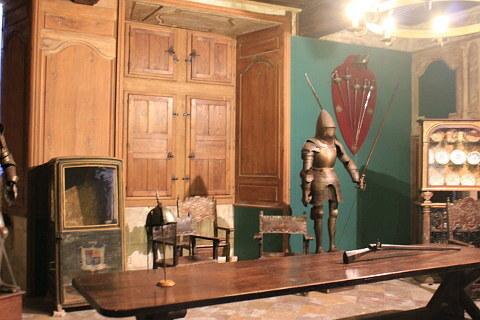 As well as the traditional castle visit the Chateau de Bourdeilles has an Escape Game. Virtual reality clues lead you through the history of the castle searching for a means to escape whilst avoiding the attentions of Philippe le Bel and the Black Prince. The game takes about an hour and can be played alone or with up to 8 players aged 12 and over. Sadly the clues are only in French! 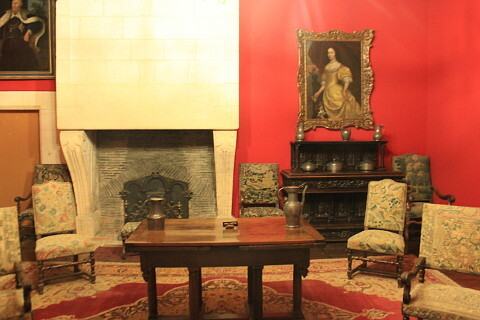 The Chateau de Bourdeilles is open every day apart from Mondays and the 7th January to 8th February. Opening hours are 10.00 to 12.30 and 14.00 to 17.30 and 10.00 to 19.30 from 8 July to the end of August. Tickets cost 8 euros for adults, 5.80 euros for 5-12s and free for under 5s. 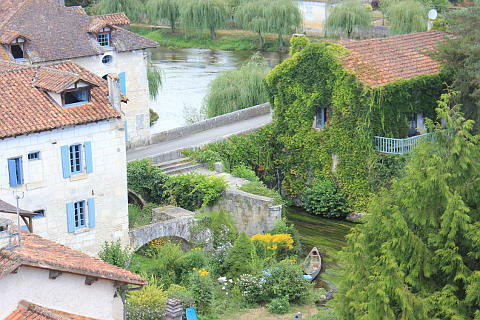 The village of Bourdeilles is charming with its medieval centre and views over the river and the castle. Very close by is Brantome which is one of our favourite villages in the Dordogne. The village sits in a loop of the river and also has a large abbey and is very picturesque. If you are looking for a larger town then Perigueux has a lot to offer with both a medieval centre and important Roman ruins.